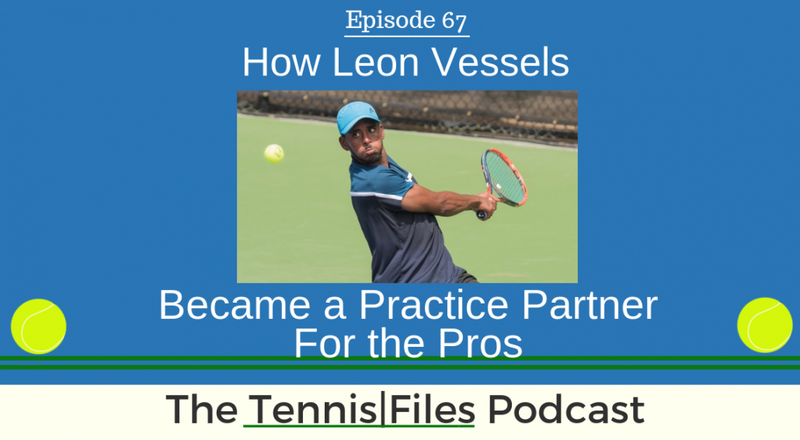 On Episode 67 of The Tennis Files Podcast, I spoke with Leon Vessels about how he became a practice partner for top ATP and WTA pros. Leon has practiced with Alexander Zverev, Kei Nishikori, Grigor Dmitrov, Eugenie Bouchard, Gael Monfils, John Isner, Janko Tipsarevic, Alexandr Dolgopolov, Rajeev Ram, and countless other top ranked players. I noticed Leon playing with these top players at the Citi Open while covering the tournament over the past few years, and was intrigued about his story. What is particularly amazing about Leon is that although he was a top junior, he did not play college tennis or on the pro tour, took several years off the game, and yet still possesses the skills and focus to practice with the top players in the world. On the podcast we get into how Leon became a practice partner at the Citi Open, how others can become practice partners at tournaments, the level required to practice with the pros, tips he's learned from the best in the world, and much more. Let us know what you think about this episode in the comments below! [20:07] Are there common drills that pros ask for from practice partners?